Eat: They have a selection of food… But is there anything better then cheese after a wine tasting? They have different sized cheese platterns and its the perfect lunch for the ambiente. Price: Locals will say its expensive… But if you come from any other place you will consider it very very cheap… The same on a winefarm in France will cost you up to 5 times as much as in Haute Cabriere… And the quality is excellent! My tip: Do the wine tasting next door first! Same amazing view and very friendly service… Sit on the barrels outside and try a selection of different wines for a great price. After you found your favourite… Feel free to change into the restaurant section and get a bottle, or buy some bottles for a cheaper price to take home with you. 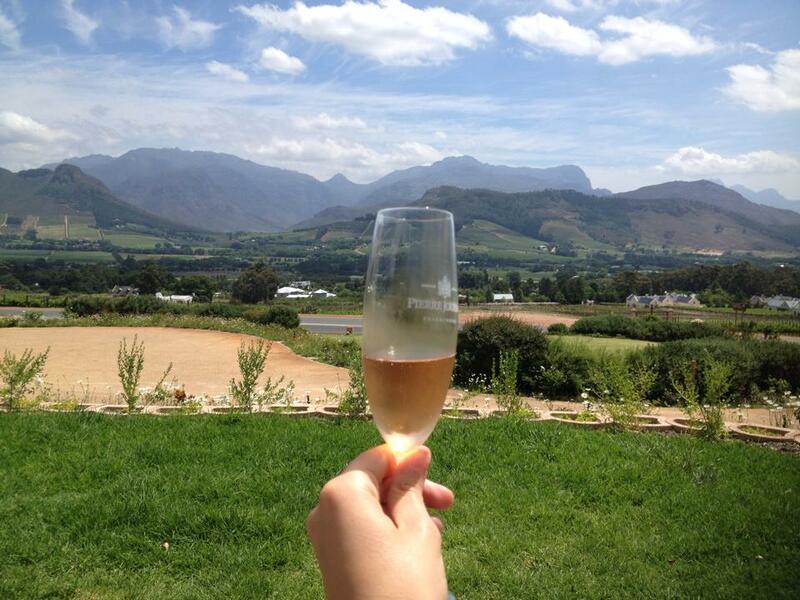 Do: Explore the area… Franschhoek is a cute little village surrounded by countless wine farms. They have little wine busses and even a wine tram (!) that will take you to different Estates, so everyone can enjoy themselves without having to drive. 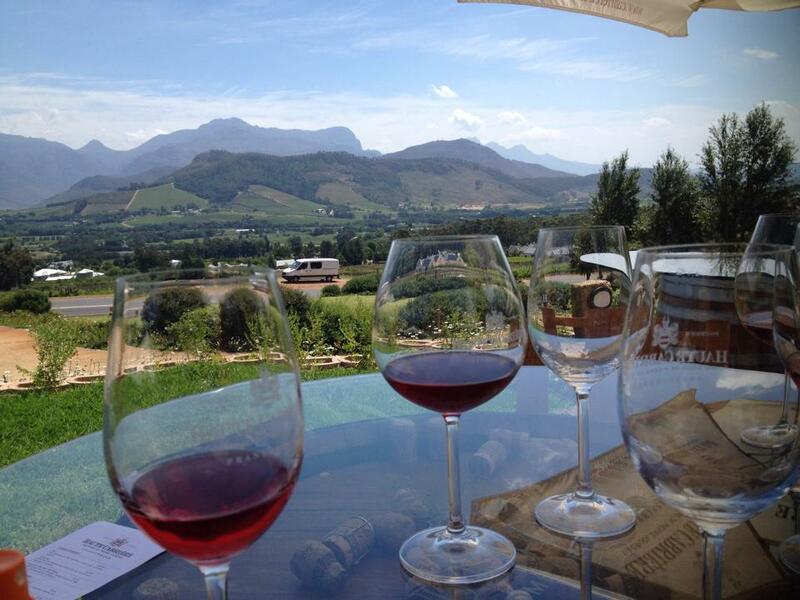 Every wine farm offers wine tastings and you can pick your favourite… However the trams will not take you to “Haute Cabriere” but its just a short walk from the village… If you are in Capetown, Franschhoek is definitely a place to visit! Its only about a 1,5 hour drive from the city and you can spend a nice relaxed night and recover from the busy city. 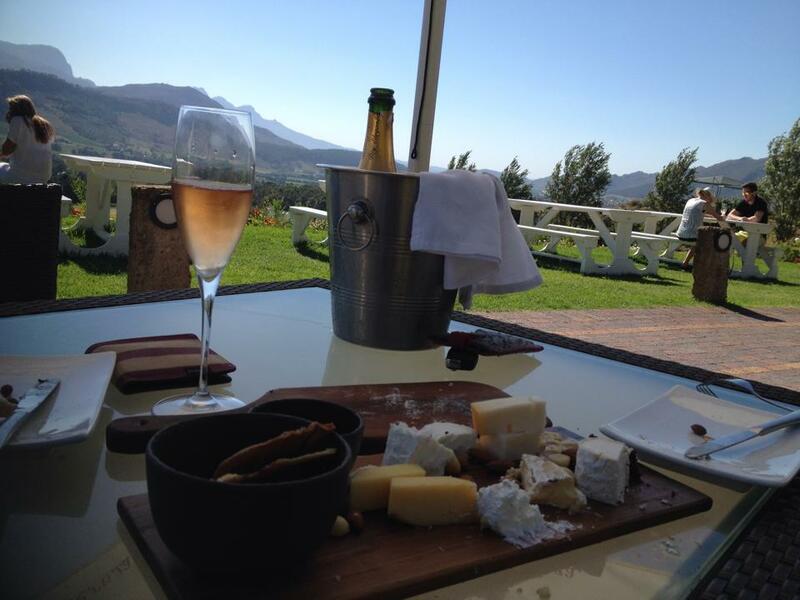 This entry was posted in Places behind Food, South Africa and tagged Capetown, Cheese, Eat, Food, Haute Cabriere, South Africa, Wine, wine tasting. Bookmark the permalink.